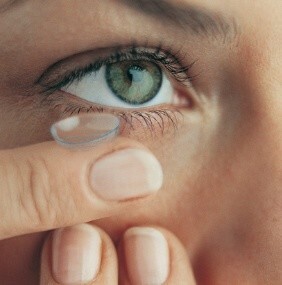 Contact lenses are a fantastic alternative to glasses and are available for full time or part time wear. With the constant evolution of new lens materials and technology to provide healthier contact lens options that provide clearer vision, our doctors regularly meet with representatives for all the major Canadian contact lens manufacturers to ensure they have the most up-to-date knowledge on the newest lenses. If you currently wear lenses, Dr. Koria and Dr. Ginter advise yearly evaluation of your lens fit, vision and corneal health. If you have never worn contact lenses but are interested in trying them, Dr. Koria or Dr. Ginter will select a trial lens to best suit the shape of your eye, prescription and visual demands before scheduling an initial fitting and insertion/removal training.